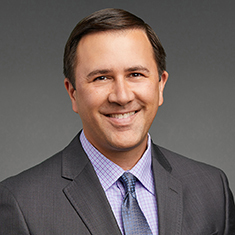 Chad R. Doobay concentrates his practice in governmental and public finance matters, representing issuers, underwriters, borrowers and banks in financings that benefit governmental entities and nonprofit organizations. He works with hospitals, health systems, schools, universities, continuing care retirement communities, museums, cultural institutions and transportation agencies throughout the United States on matters relating to disclosure obligations, corporate approvals and deal structuring. Chad has broad experience in both tax-exempt and taxable financings, including public offerings, direct purchases and private placements. Chad has worked on financings involving a variety of structures, including fixed and variable rate, letter of credit, bond insurance and certificates of participation. Chad has also assisted clients in the bond financing mechanics related to entering into affiliation agreements, energy savings contracts and forward delivery agreements. Chad was named a 2018 Emerging Leader by the Chicago Council on Global Affairs. In law school, Chad was note editor of the Michigan Journal of Law Reform and was selected as a Michigan Fellow in Refugee and Asylum Law to work with the Jesuit Refugee Services in Lusaka, Zambia. Chad is committed to pro bono work. He is a member of the Leadership Board of the National Immigrant Justice Center and actively represents asylum seekers in legal proceedings. Shown below is a selection of Chad’s engagements.